At Video Transfer and DJ Music Sounds, we know that every event is not the same. Each wedding, corporate occasion, seminar, meeting and private party is different. You can count on us to completely understand your event, your guests and your entertainment needs. Planning is a key component to our services. We meet with each customer/client to go over the event schedule and musical selection. We want to know what you want to hear – and not hear. 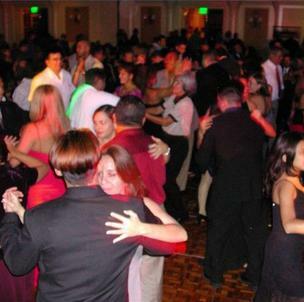 We bring the finest quality entertainment to our customers/clients offering music service for WEDDING RECEPTIONS, CORPORATE FUNCTIONS, SCHOOL EVENTS, PRIVATE PARTIES, QUINCEANERAS, CLASS REUNIONS, RETIREMENT PARTIES and MORE. Our playlist includes COUNTRY WESTERN, TOP 40 DANCE, BIG BAND, JAZZ, CLASSICAL, 50s ROCK N’ ROLL, 60s and 70s CLASSIC ROCK, MOTOWN, SALSA, SOUL, RHYTHM & BLUES, HIP HOP, DISCO, POP CULTURE, TECHNO, BLUES, SWING, GOSPEL, REGGAE LATIN, and CARIBBEAN music. We strategically assemble your music and transition the songs one to another. It doesn’t stop there. Our professional DJ services include premium sound systems, wireless and traditional microphone, event consultation, early setup, and ceremony duties. 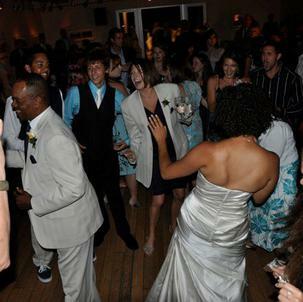 We have the tools and experience to judge your dance floor and anticipate the tone of each situation. We will customize every entertainment package to include your particular style, budget, and artistic expectations. Our customer service is outstanding.